What do Kiss and Mini have in common? Both are known for their outlandish styles and performances, but now both have teamed up for a very good cause. 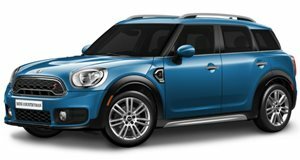 eBay will be auctioning off only four limited-edition Countrymans, which will include a Detroit shock rockers full face paint, fitted nicely on the Mini and their custom trademark logo. This auction will be a way to help Japan in the aftermath of the tragic earthquake and tsunami. Each Mini will represent a member of the iconic rock band. Naturally, one of the cars will feature the wicked tongue of Gene Simmons. The auction is part of a 10-day Father&apos;s Day charity auction that began May 29. The proceeds will go to UNICEF to help Japanese children as well as other emergency relief efforts around the world. So, the next time your parents catch you maxing out their credit cards for Kiss memorabilia, you can at least tell them it&apos;s for a good cause.